This spacious holiday home is suitable for five to seven people. It is on the second floor of an attractive country house. The country house is full of character. You can enjoy impressive views of the surrounding area from the balcony. The live-in kitchen is equipped with every modern convenience. These include a microwave, oven and fridge. There are two bedrooms in the holiday home, both have double beds. One of the bedrooms has an extra single bed. The owners live on the ground floor and have an organic farm next to the house. The guests can buy a range of organic produce here. The farm has a number of delightful animals who enjoy being stroked and cuddled. 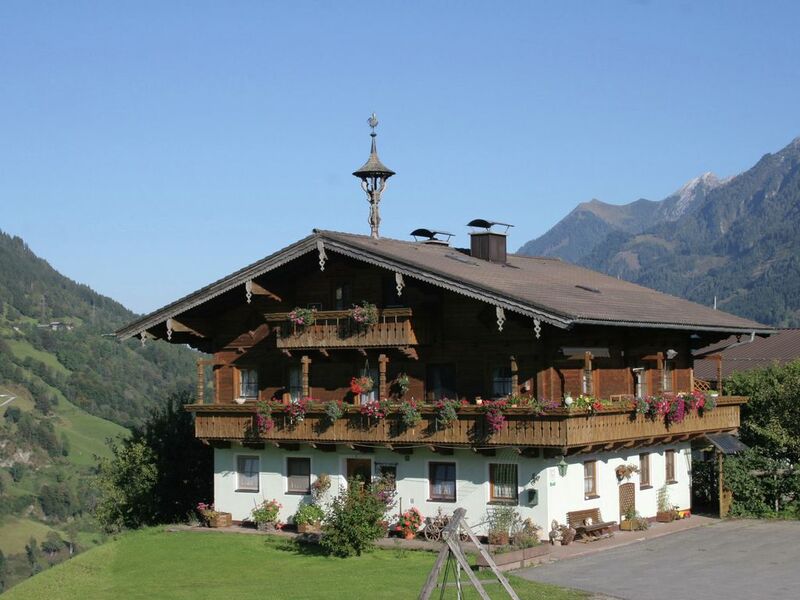 fantastic holiday accomodation, complete top floor of a beautiful wood chalet with fantastic views and in a wonderful location as a base to explore around the salzburg area with lots of attractions near. The chalet itself is on a mountainside and is quiet and relaxing, we were there with two young children who loved every minute also the owners were very friendly and helpful and had milk and cheese etc for sale which are produced on the farm, we would recomend this property to anyone looking for a good holiday. Goede, netjes ingerichte accommodatie in een prachtige, rustige omgeving. Wel in het huis oppassen voor sommige lage dwarsbalken. Badkamer en toilet in één ruimte. Vriendelijke en behulpzame huiseigenaar! Mooi skigebied op 20 minuten rijden met de auto. Het huis ligt in een mooie omgeving. met 20 minuutjes rijden zit je midden in Bad Gastein. Parkeerplek direct voor de deur. Wel jammer dat je door de woning van de eigenaar moet om bij je appartement te komen. Het appartement is ruim genoeg. Wat wel jammer is, dat je veel moet bukken vanwege lage balken. Mooie omgeving, zeer rustig, zeer goede gastvrouw. Goede service. Alleen jammer dat er een kleine oude televisie aanwezig is.